What drives the value of biotechnology assets? What are the key drivers of pharmaceutical valuation? What is the optimal method for valuation of pharmaceutical and biotechnology assets? 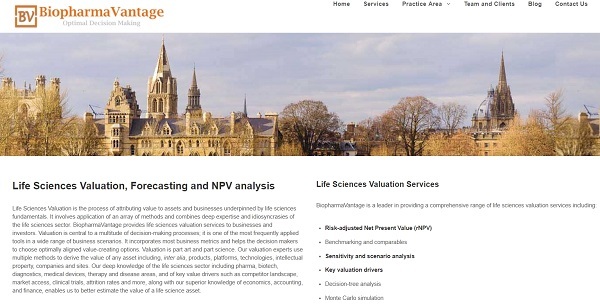 BiopharmaVantage is a life sciences consultancy that specializes in providing valuation services specifically for the biotechnology and pharmaceutical sector. If you would like to explore how we can assist you, then please contact us.